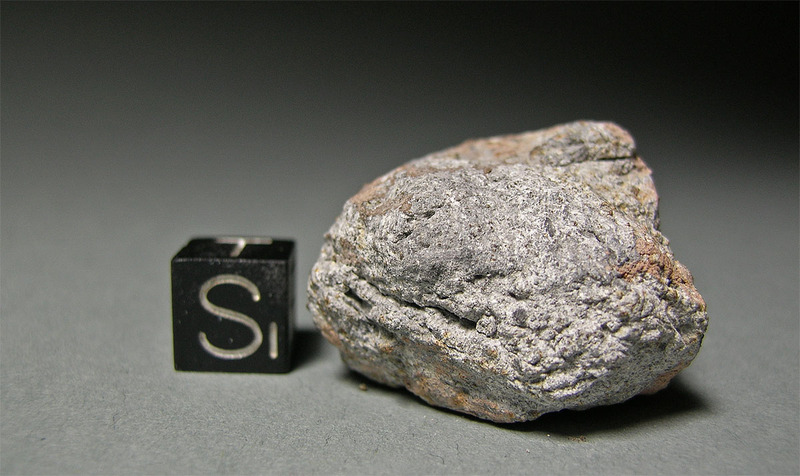 Walnut-sized mass that fragmented along a shock plane on one surface. Slickensides and few remnant chondrules visible. At 16:45 UTC in the afternoon of September 15 the small town of Carancas in Peru was shaken by an enormous detonation. Eye wittnesses descibed a smoke trail that had descended from the sky and exploded on contact with the ground. Windows were shattered and buildings were damaged by ejected secondary debris. A mushroom shaped explosion cloud raised from the impact site and stood several minutes above a fresh crater measuring 13 meters in diameter. 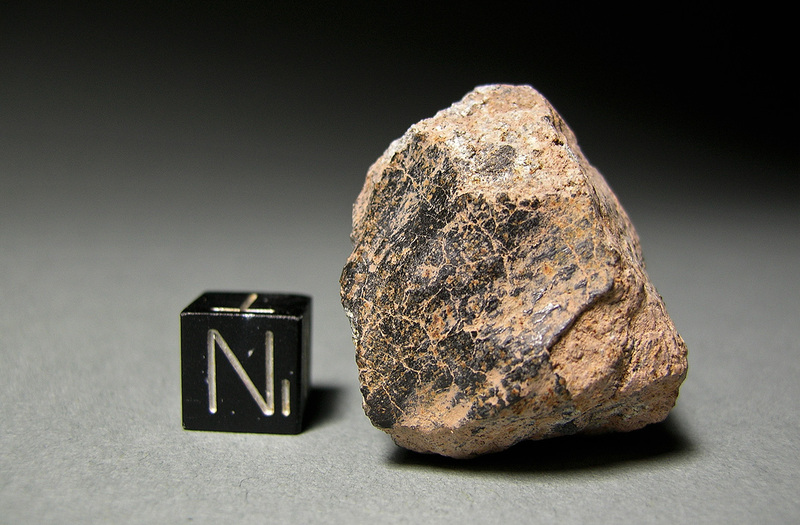 Carancas is an exceptionally rare case of a contemporary stone meteorite fall that produced a crater.